The Vice President of Ghana, H.E. 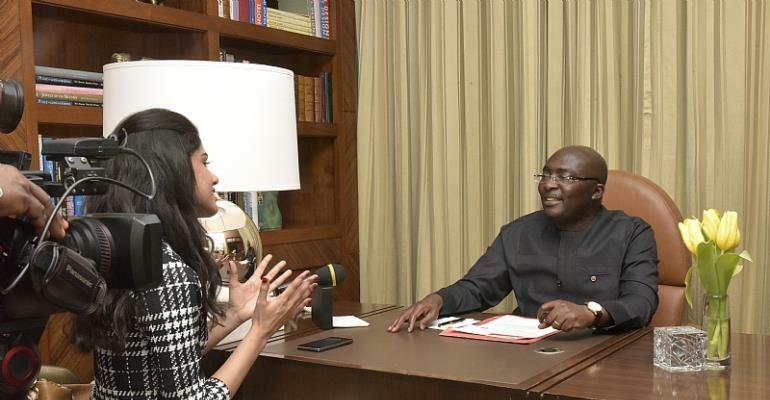 Dr Mahamudu Bawumia, speaks to the Times of Africa, one of India’s largest news outlets, on Ghana-India relations ahead of the 14th CII-EXIM Bank Conclave on India-Africa Project Partnership. The Vice-President of one of the most prosperous countries on the African continent, H.E. Dr Mahamudu Bawumia, landed in New Delhi, India, on Saturday 16th March 2019, for the 14th CII-EXIM Bank Conclave on India-Africa Project Partnership. He was received by the High Commissioner of Ghana, H.E. Mr. Michael Aaron N. N. Oquaye Esq (Jnr) along with a high-powered delegation of the host country. 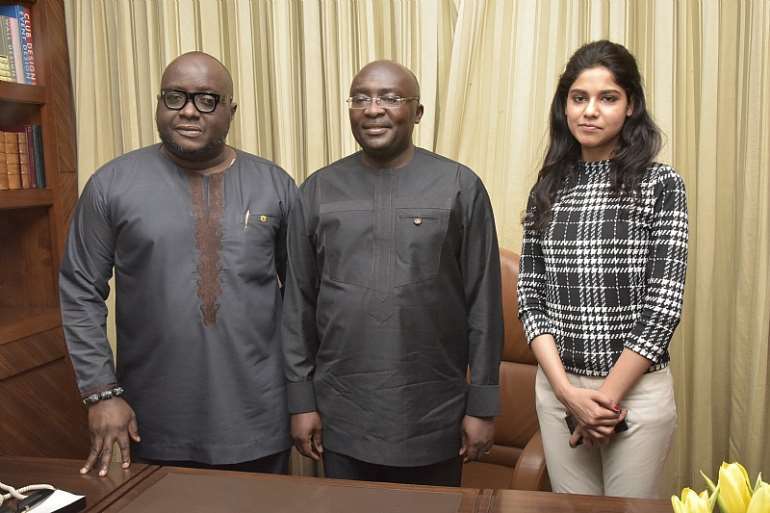 In his first-ever visit to India, The Times of Africa had the honour to have an exclusive interaction with the Honourable Vice-President minutes after his arrival. With insights deep like the ocean and a persona as calm as the sea, the esteemed dignitary passionately spoke about strengthening the bilateral partnership between India and Ghana, the emerging forces of the global economy. TOI: What are your expectations from the event? H.E.MB: I would like to start by thanking the Government of India for organizing this Conclave. It is a wonderful endeavor to deepen the cooperation between India and Africa, especially in the area of economic relations. I expect that we will deepen our cooperation in specific areas and this particular conclave would be productive in that direction. TOI: What are the priority sectors in which the Government of Ghana would like to collaborate with the Indian business community? H.E.M.B: Accompanying me are a number of business delegates from Ghana. The Ghanaians will meet the Indians and the Indians will meet the Ghanaians. We have many areas of potential cooperation between our respective business communities and the Government as well. 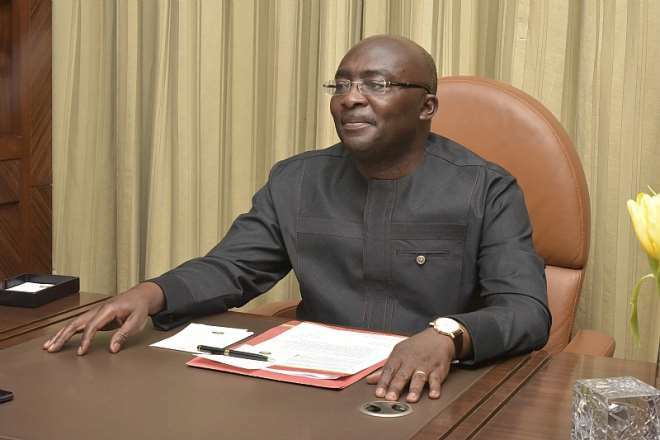 TOI: The President of Ghana, H.E. Nana Akufo-Addo has launched a number of initiatives, including ‘One District, One Factory’. What kind of alliance are you looking from India in order to give boost to the manufacturing strength of Ghana? H.E.M.B: From Ghana’s point of view, the reason why President Nana Akufo-Addo has set this target of industrialization is because we can’t become a primary commodity producing nation without adding value to our resources. TOI: Farmers in Ghana are increasingly becoming aware about the technology-driven innovations that can help them get a higher produce. In order to build upon this awareness, are you seeking any technology-transfer from India? H.E.M.B: Absolutely! For us agriculture is key. 60-70% of our population is engaged in agriculture. So, if we are going to need that leap for transformation, agricultural productivity must increase. TOI: Your closing remarks on your visit to India! H.E.M.B: This is my first time in India, so I am really looking forward to this visit. I have come with a team of ministers as well as businesspersons. We have had long, productive and warm relations with India right from the time of independence. There is deep affection between the two countries. The strong foundation of our bilateral relations was laid by India's first Prime Minister, Pt. Jawaharlal Nehru, and Ghana's first President, Dr. Kwame Nkrumah. The two great leaders also enjoyed a close friendship.